Welcome to my Homepage on www.mundays.net. Blazon: Azure an opinicus rampant or armed gules. For crest out of a ducal coronet or issuant from clouds proper a sun in splendour or eclipsed by a moon in her complement sable visaged argent. Mantled azure doubled or. 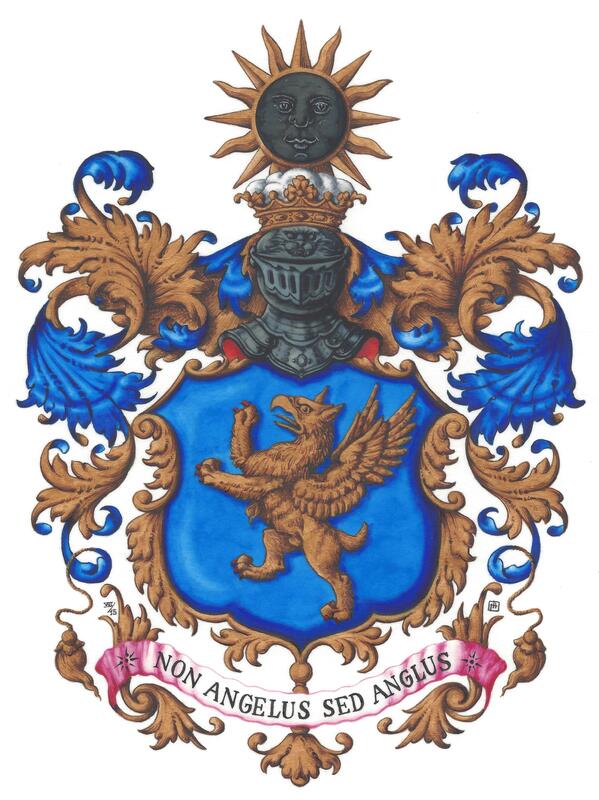 Motto: Non Angelus sed Anglus - No Angel but at least I'm English. I am a General Practitioner (Family Physician) living in Pimlico in London, UK. I practice medicine from two surgeries in Westminster. In 1997, we were one of only about 25 surgeries in the kingdom to have been awarded a Charter Mark for excellence in public service. I was Vice Chair of the Governing Body and Chair of the Finance and Performance Committee of NHS Central London CCG, which commissions healthcare for 180000 patients in the City of Westminster and am now leading its Integrated Care project. In 2011, I was elected a fellow of the Royal College of General Practitioners. I was an elected Councillor for the Abingdon ward of the Royal Borough of Kensington & Chelsea from 1986 until 2002. I had the honour to be elected the Worshipful, The Mayor of the Royal Borough of Kensington & Chelsea for 1998 - 1999. I am a Freeman of the City of London and was the Master of the Worshipful Company of Wax Chandlers for 2006/7. I am the Divisional President of the Hammersmith 345Q Division of St John Ambulance. I married Christina in 1983, who is a founder liveryman of the Company of Arts Scholars and we have a son, Frederick, who is married to Sophie. They work at the Foreign and Cabinet Offices. My interests are politics, Heraldry, Freemasonry, (Bel Canto) Opera and SCUBA diving. This is an index holding page. Write to me: Dr. Jonathan Munday or, if you're a friend, I am on Facebook	.